To check your voicemail, choose Calls > Voicemail. 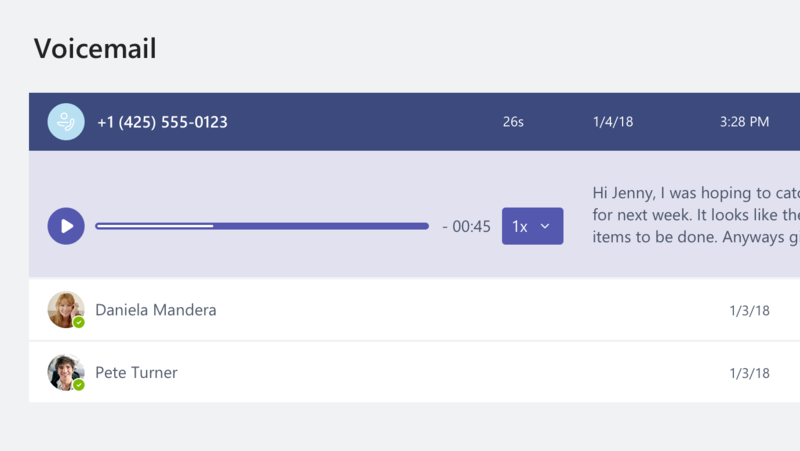 Select a voicemail in your list and use the playback controls to listen to the recording or read a transcript (if it's available). To call someone back, select More options > Call back. You’ll be able to check the status of anyone with a Teams or Skype for Business account to see if they’re available for a call.